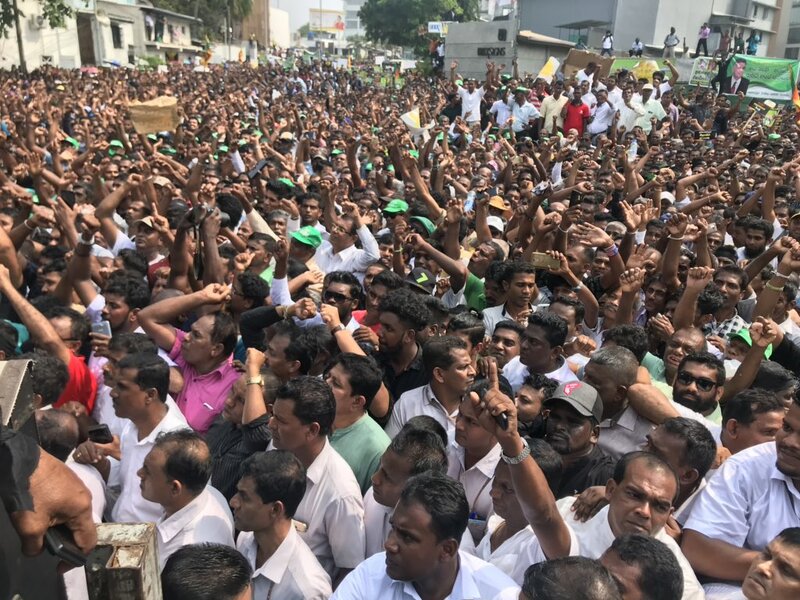 Several thousand UNP supporters staged a protest in Colombo today, demonstrating against the appointment of Mahinda Rajapaksa as Sri Lanka’s prime minister and calling for the reconvening of parliament. 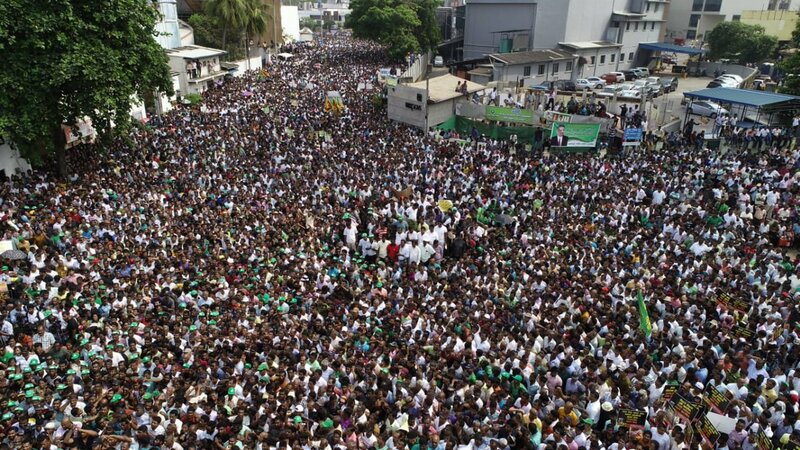 Senior UNP leaders spoke at the rally, including Sajith Premadasa, who reportedly said he was “prepared to die for my country's freedom". Supporters were seen wearing green caps symbolising their support for the UNP and waving Sri Lankan flags. The demonstration follows calls for Sri Lanka’s president Maithripala Sirisena to recall parliament from the United States and Britian.